Induces apoptosis and anoikis. Isoform BimL is more potent than isoform BimEL. 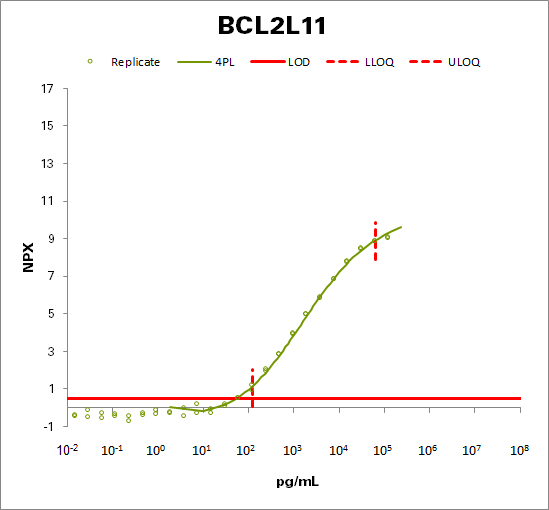 Isoform Bim-alpha1, isoform Bim-alpha2 and isoform Bim-alpha3 induce apoptosis, although less potent than isoform BimEL, isoform BimL and isoform BimS. Isoform Bim-gamma induces apoptosis. Isoform Bim-alpha3 induces apoptosis possibly through a caspase-mediated pathway. Isoform BimAC and isoform BimABC lack the ability to induce apoptosis.